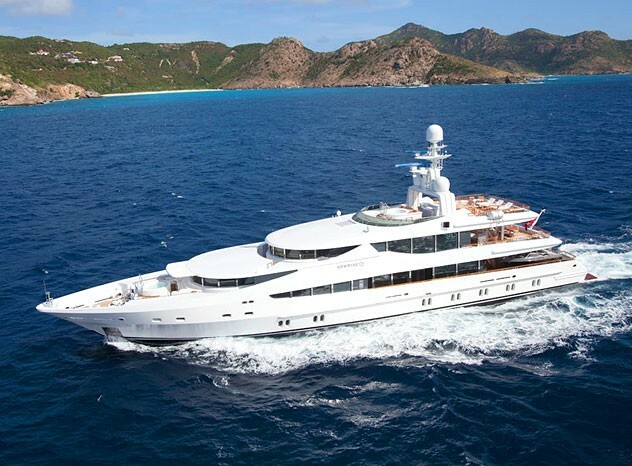 Launched in 2000, the 52-meter motor yacht Sunrise is a dramatically beautiful craft, constructed by the prominent Dutch shipyard, Oceanco. 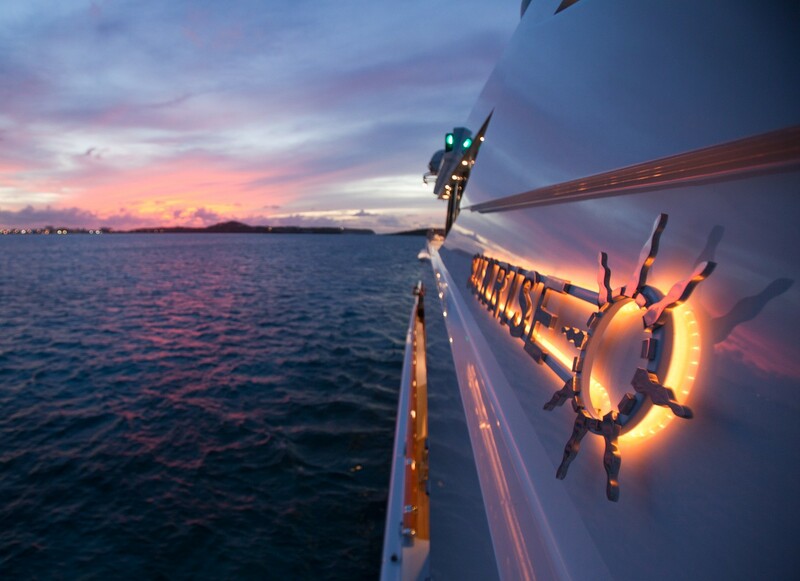 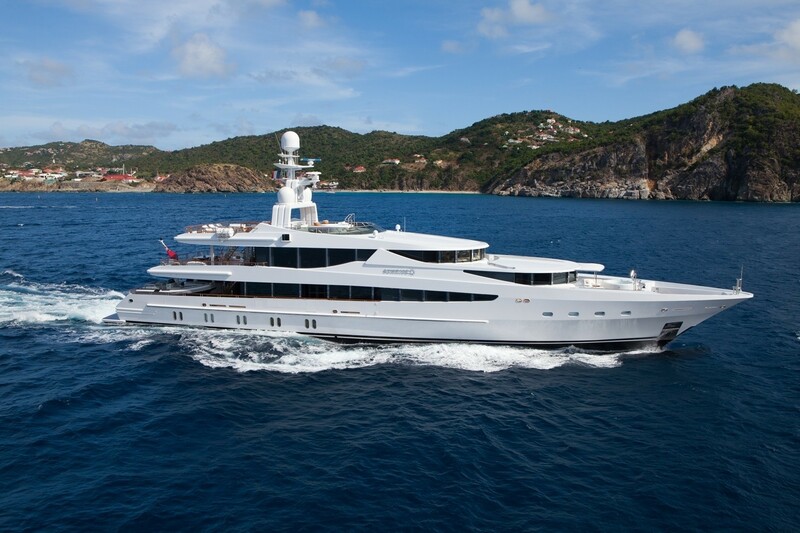 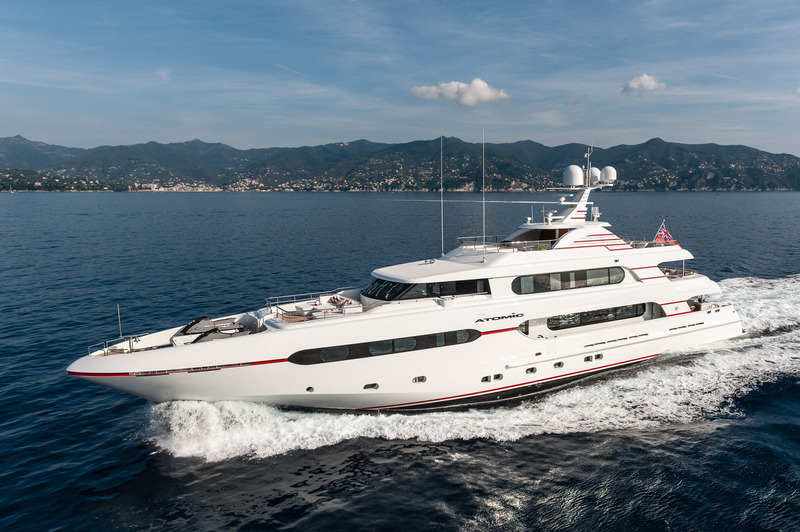 With the last refit in 2015, Sunrise superyacht features exterior design by The A Group. 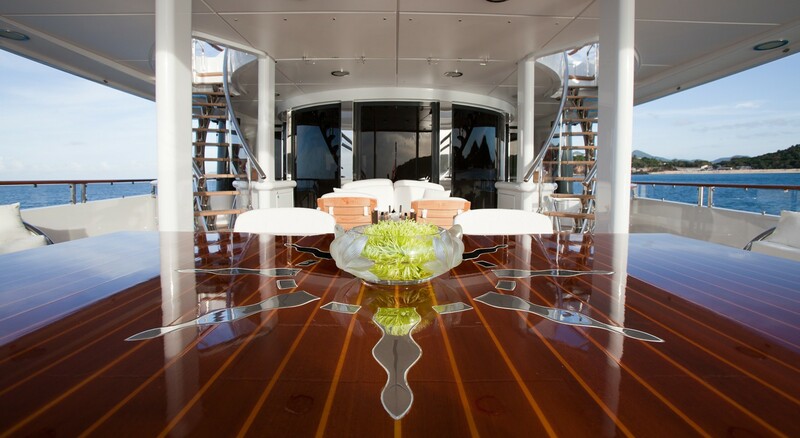 Her interior design is also by The A Group, in partnership with JP - Fantini Design. 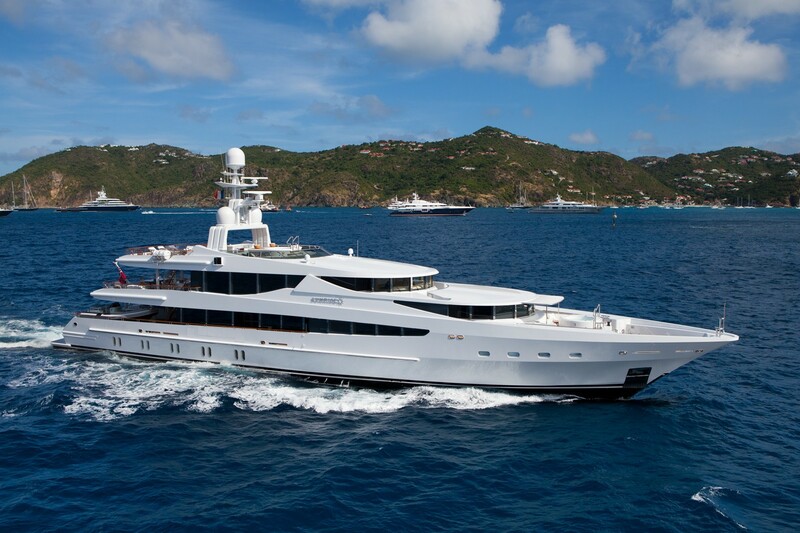 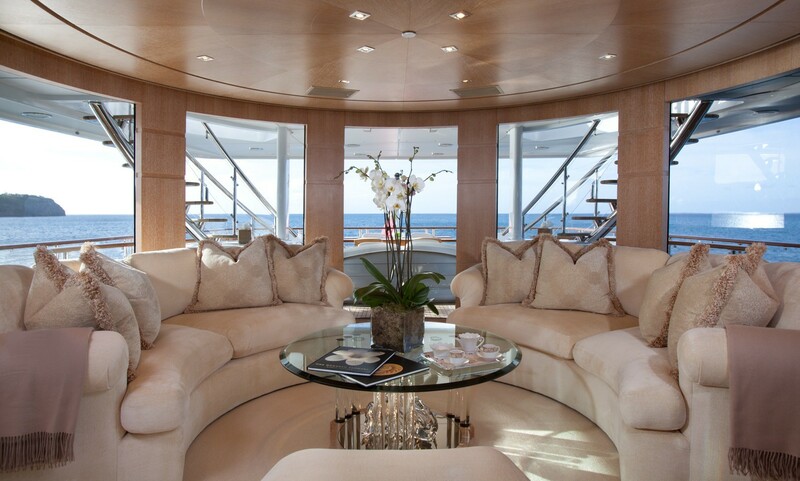 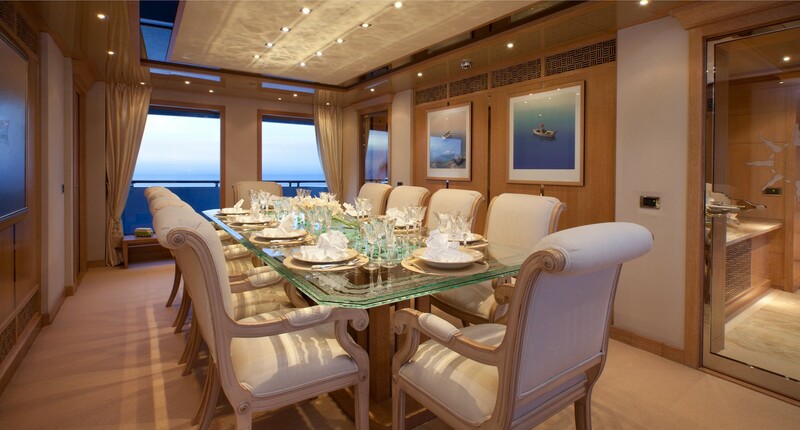 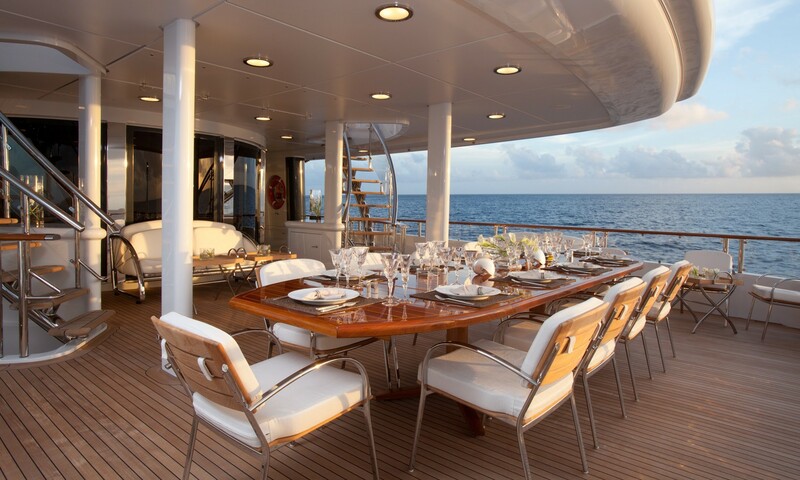 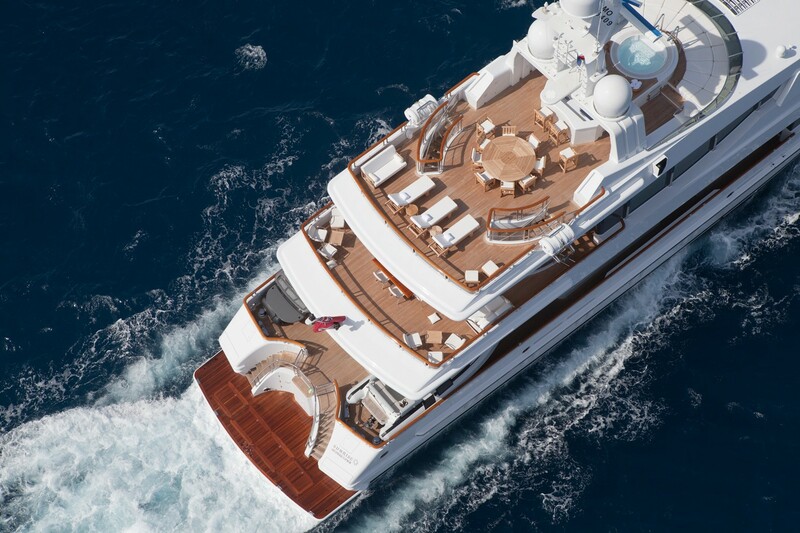 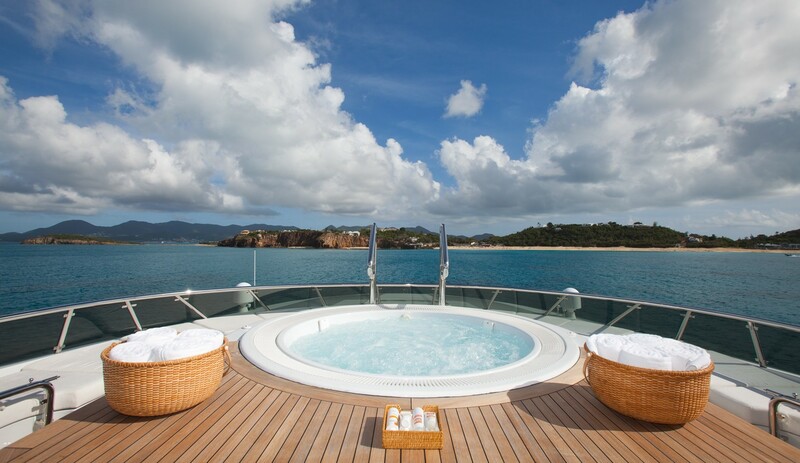 Luxurious and comfortable accommodation aboard the Oceanco superyacht Sunrise is provided to 12 guests in total. 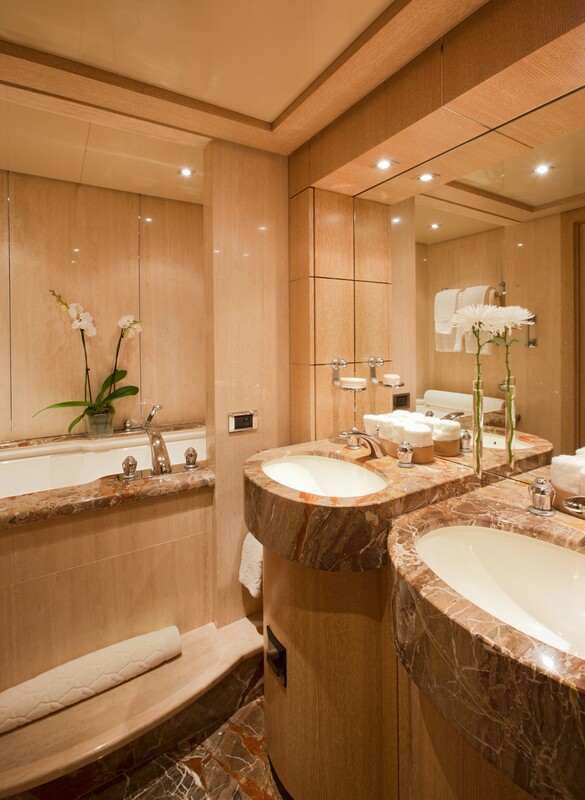 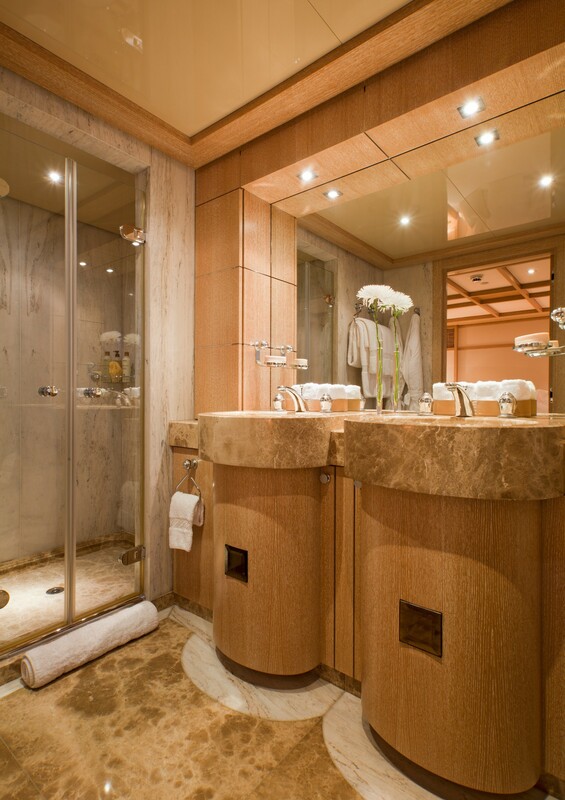 The owner's suite is divided into three great spaces, comprising an office, a round suite with panoramic windows as well as an ensuite with spa tub and dressing area. 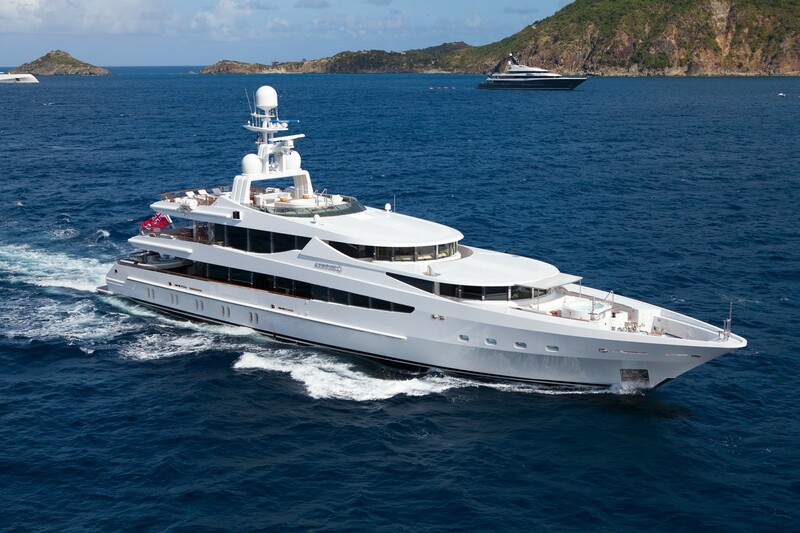 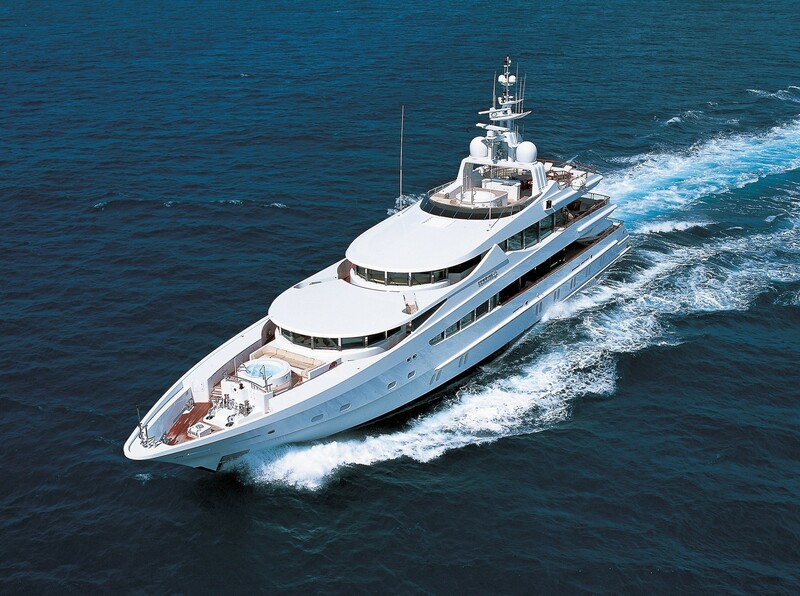 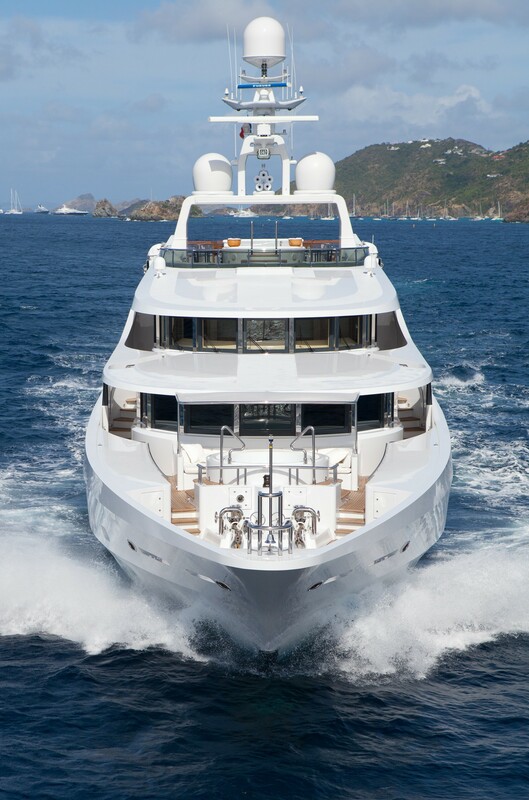 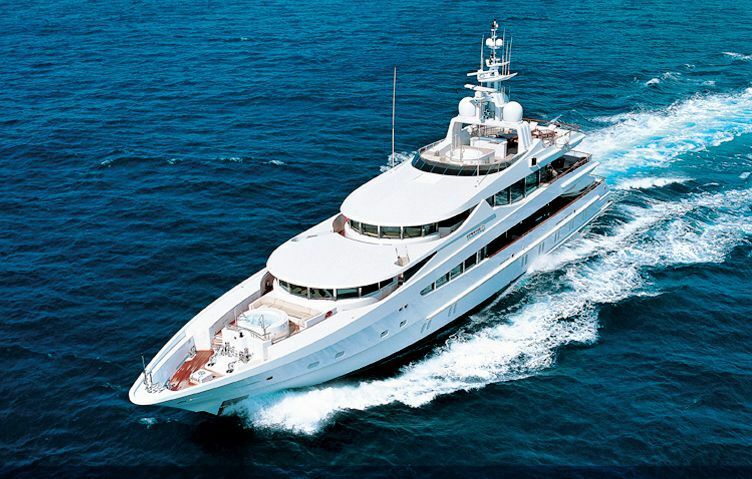 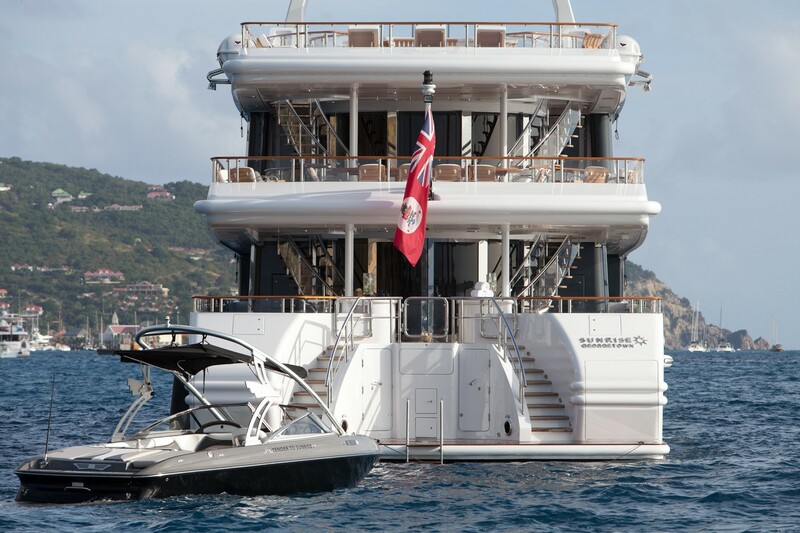 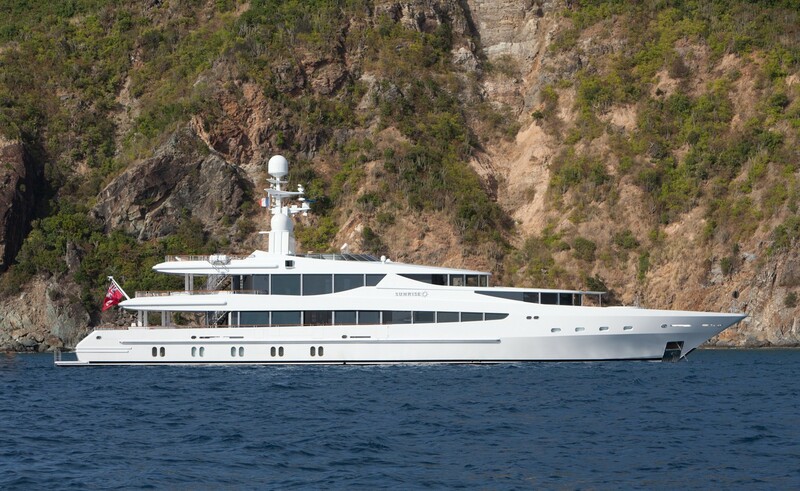 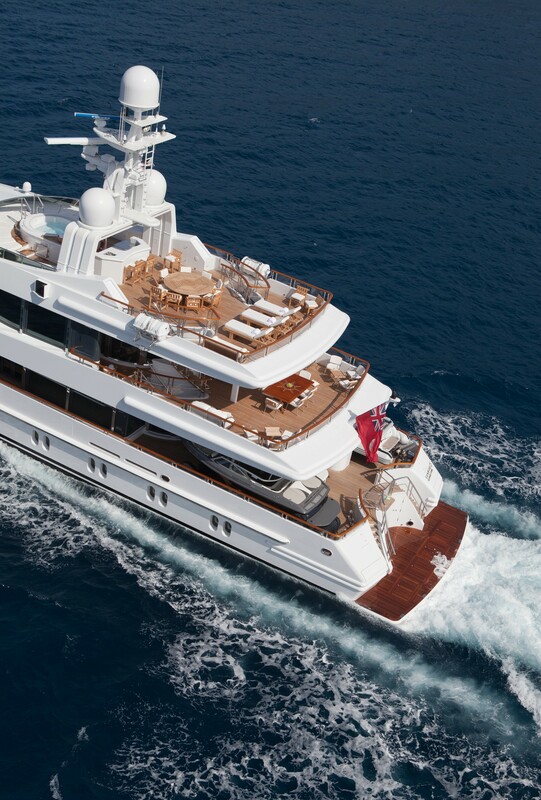 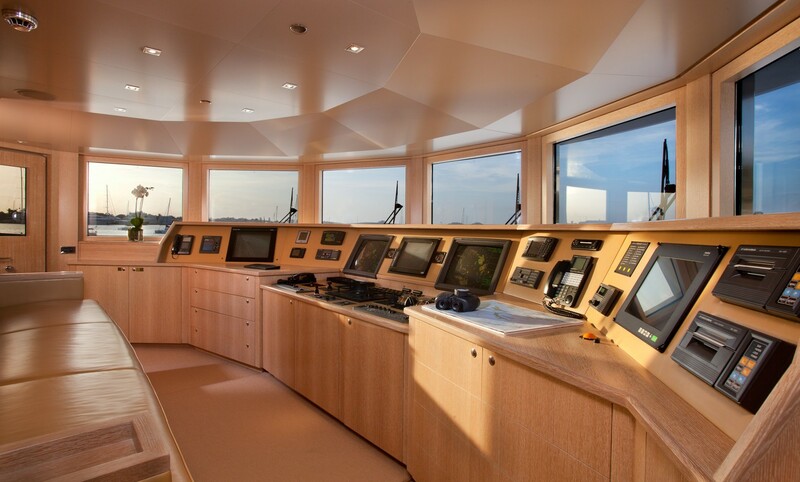 Service aboard this superb vessel is ensured by a crew of 13 professionals. 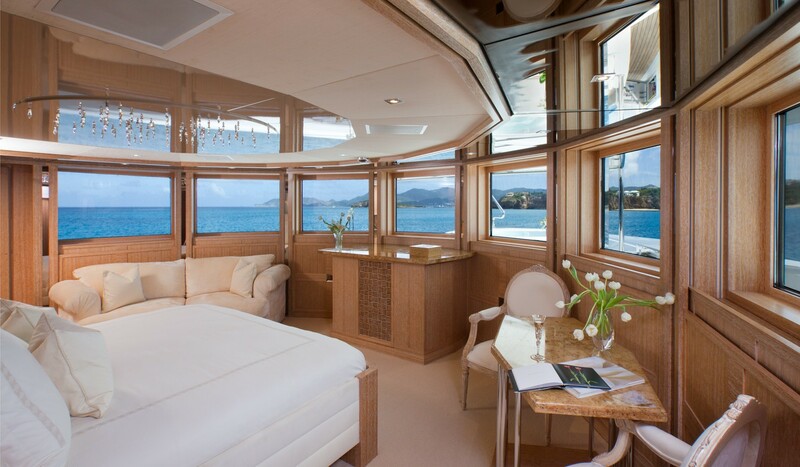 There are also two yacht tenders positioned on the aft deck to lower the center of gravity and to keep the upper deck free and uncluttered. 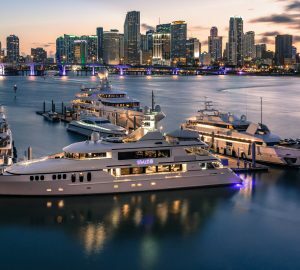 Boasting a steel hull and aluminum superstructure, the 52m luxury yacht Sunrise can reach a top speed of 17 knots and a cruising speed of 14 knots, thanks to her twin MTU 12V 396 TE74 diesel engines. 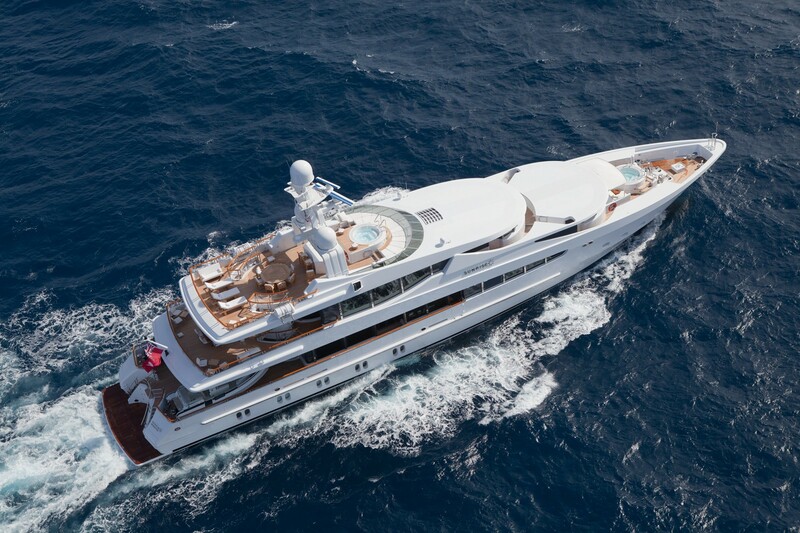 Lloyds Register, as well as MCA, classed, Sunrise has a beam of 9,9m (32'48''), while her maximum draft is of 3,3m (10'83''). 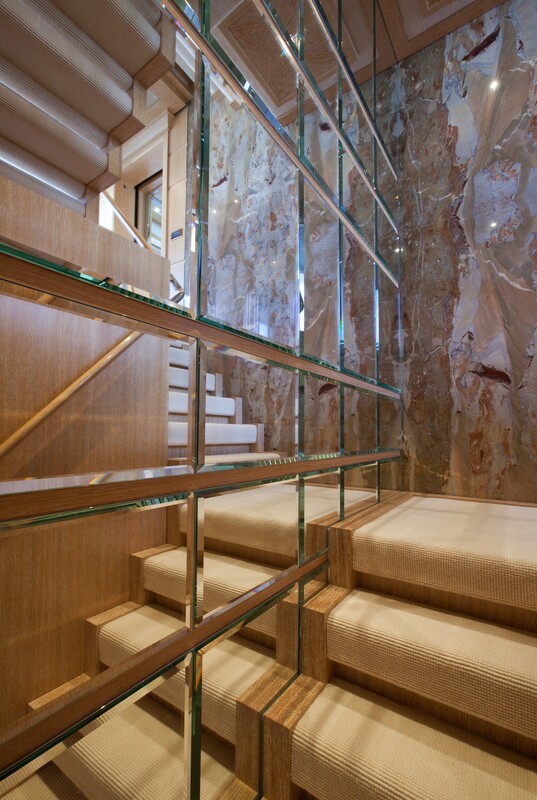 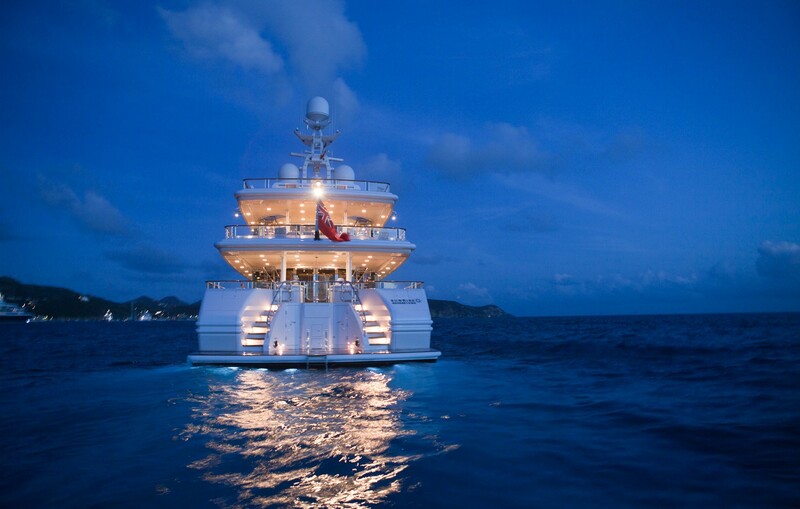 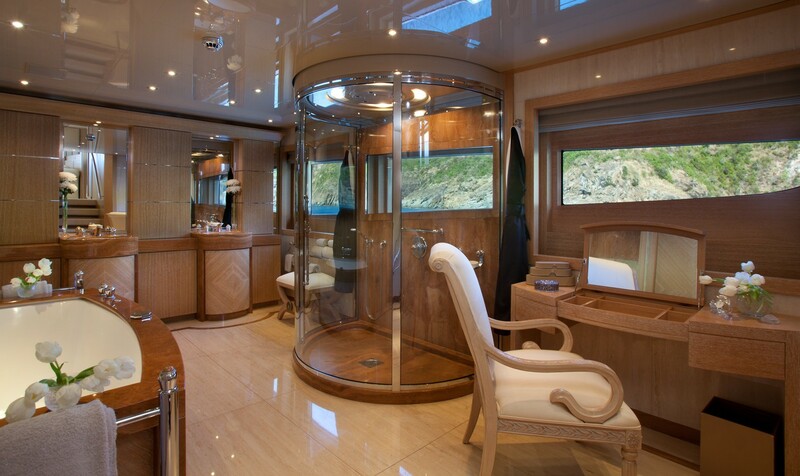 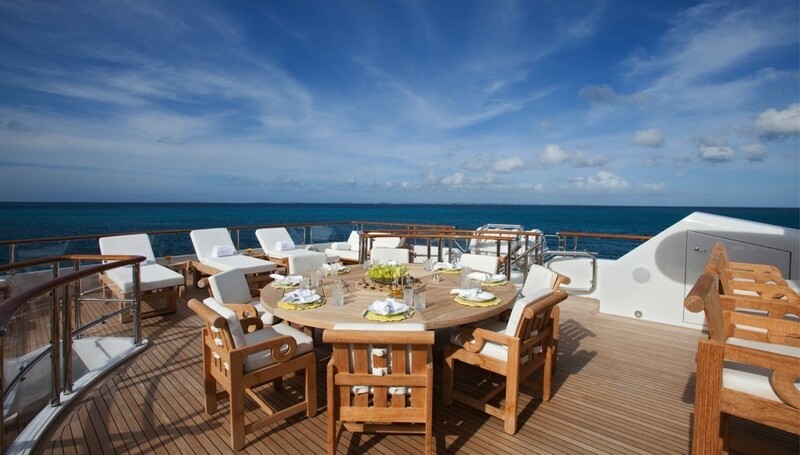 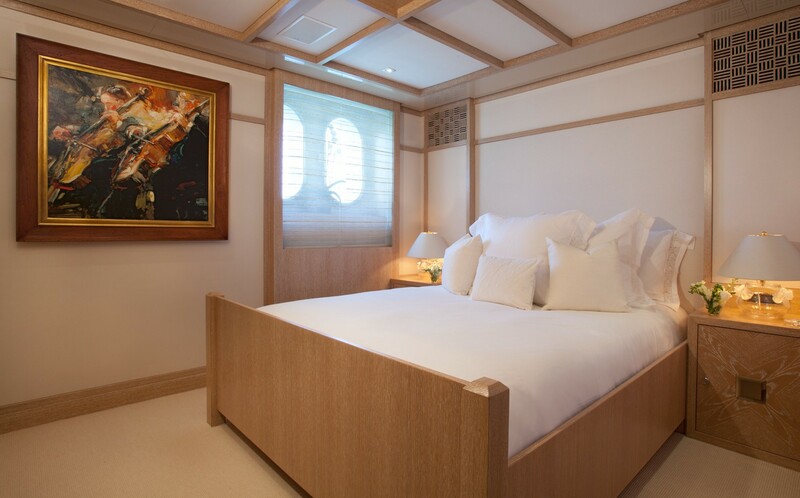 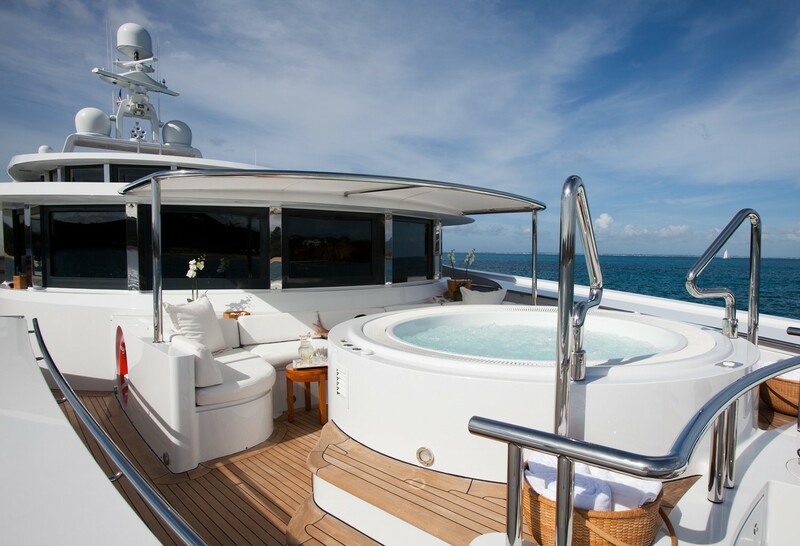 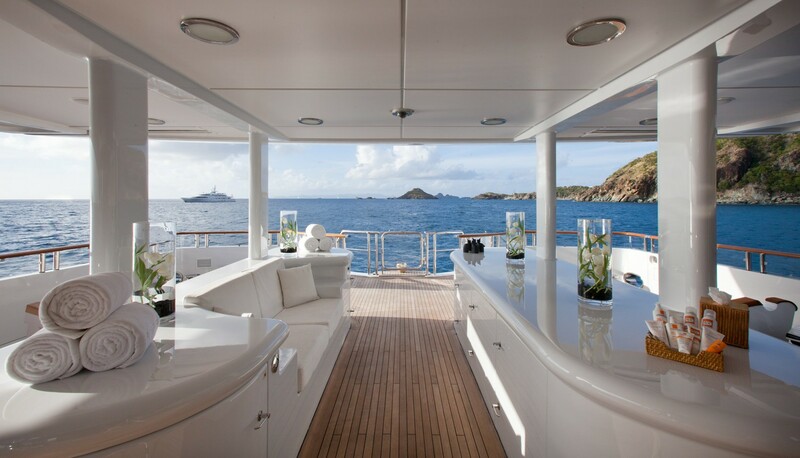 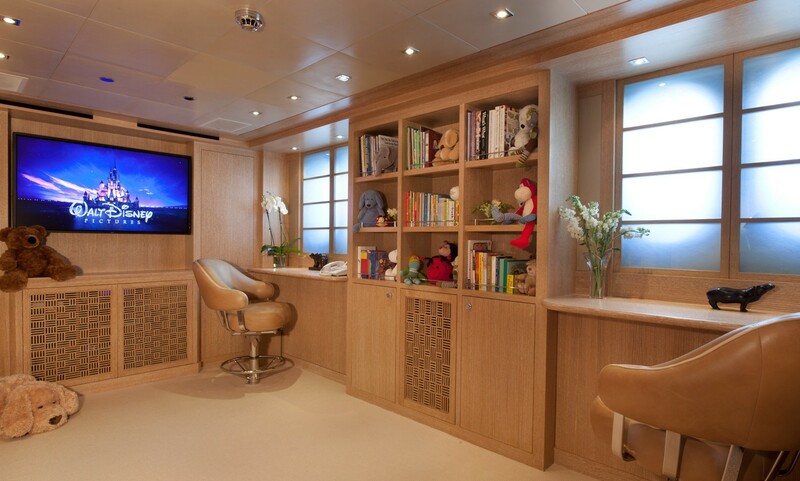 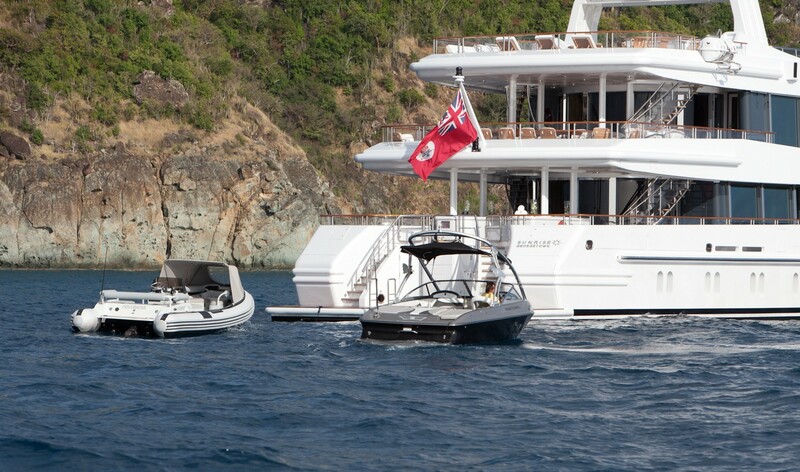 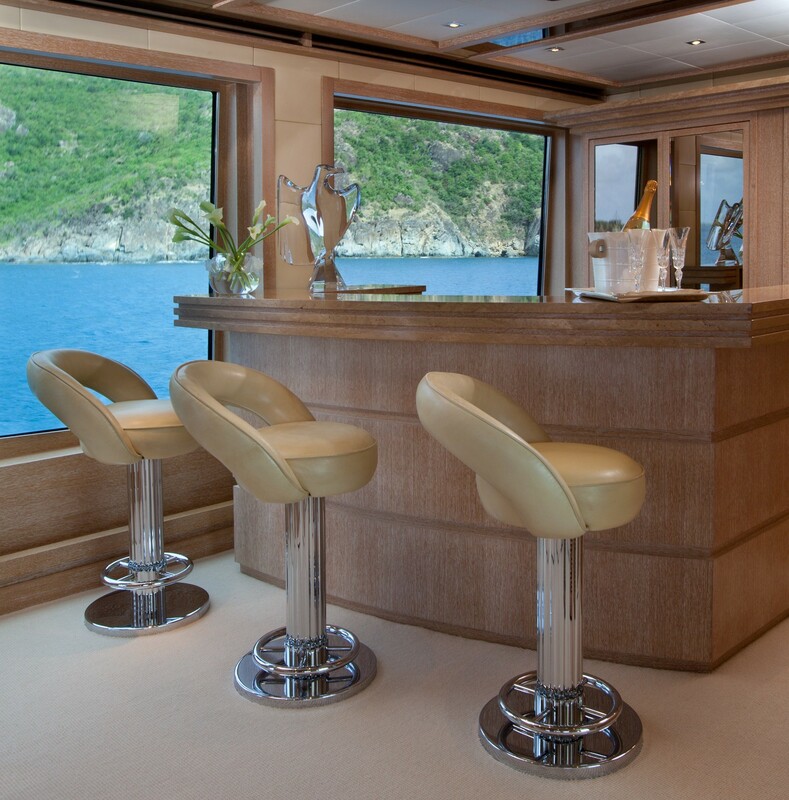 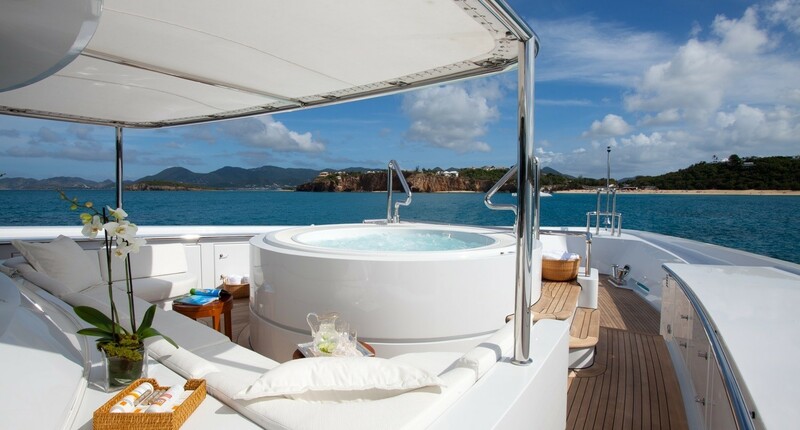 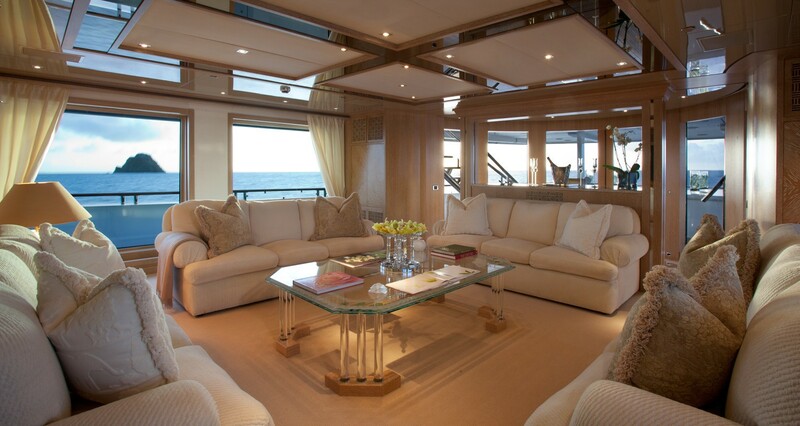 Luxury yacht Sunrise boasts beautiful accommodation for up to 12 guests, including the stylish Owner's suite. 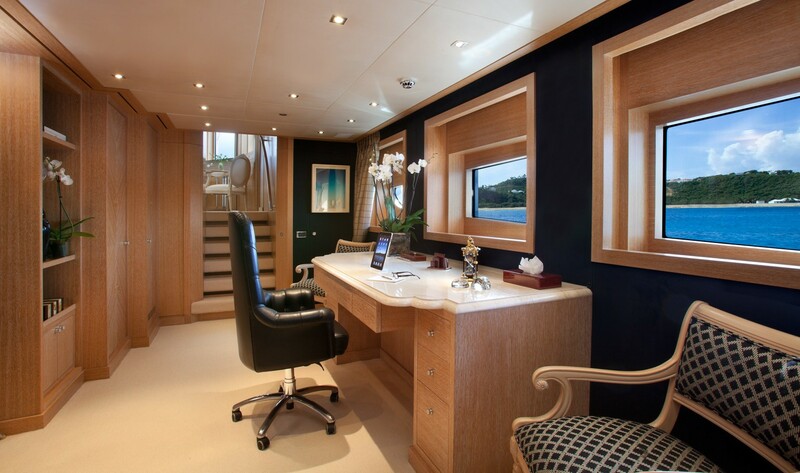 This consists of 3 spectacular spaces, comprising an office, a round suite with panoramic windows as well as an ensuite with spa tub and dressing area. 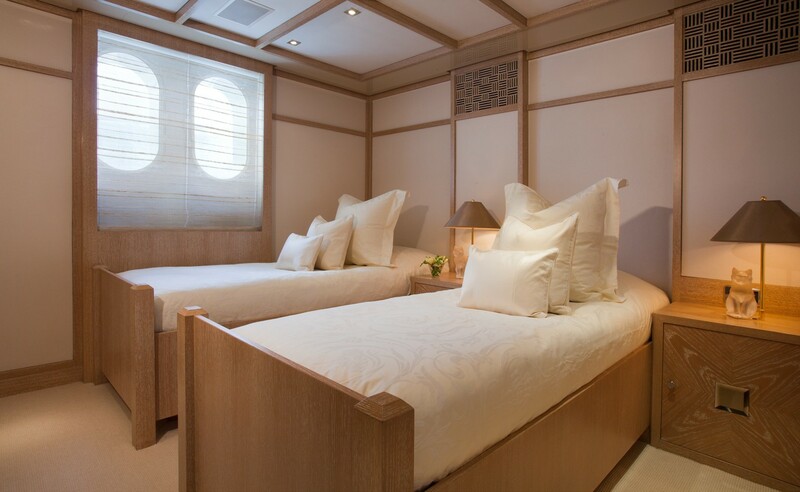 There is also accommodation for the vessel's impeccable crew of 13 professionals. 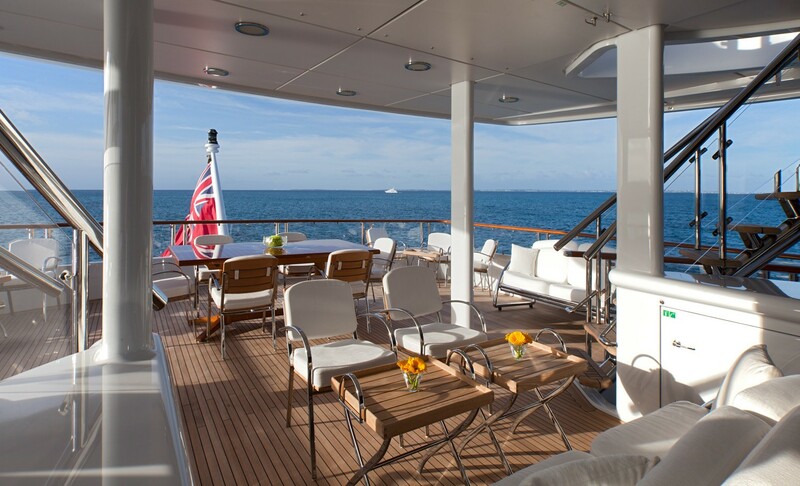 Oceanco superyacht Sunrise features two yacht tenders that can be found on the aft deck to lower the centre of gravity as well as to keep the upper deck free and uncluttered.